The Ferrer Modern School. New York, NY: Francisco Ferrer Association, 1912. Socialism and Anarchism. New York, NY: Albert and Charles Boni, 1914. Philosophy and the Social Problem. New York, NY: The MacMillan Company, 1917. A Guide to Plato. Girard, KS: The Haldeman-Julius Company, 1922. The Story of Aristotle's Philosophy. Girard, KS: The Haldeman-Julius Company, 1922. A Guide to Francis Bacon. Girard, KS: The Haldeman-Julius Company, 1923. A Guide to Schopenhauer. Girard, KS: The Haldeman-Julius Company, 1924. A Guide to Spinoza. Girard, KS: The Haldeman-Julius Company, 1924. The Philosophy of Immanuel Kant. Girard, KS: The Haldeman-Juhus Company, 1924. The Story of Friedrich Nietzsche's Philosophy. Girard, KS: The Haldeman-Julius Company, 1924. Voltaire and the French Enlightenment. Girard, KS: The Haldeman-Julius Company, 1924. Anatole France: The Man and His Work. Girard, KS: The Haldeman-Julius Company, 1925. Contemporary American Philosophers: Santayana, James and Dewey. Girard, KS: The Haldeman-Julius Company, 1925. Contemporary European Philosophers: Bergson, Croce and Bertrand Russell. Girard, KS: The Haldeman-Julius Company, 1925. The Philosophy of Herbert Spencer. Girard, KS: The Haldeman-Julius Company, 1925. The Story of Philosophy: The Lives and Opinions of the Greater Philosophers. New York, NY: Simon and Schuster, 1926. Transition: A Sentimental Story of One Mind and One Era. New York, NY: Simon and Schuster, 1927. Debate: Is Man a Machine? (with Clarence Darrow). New York, NY: League for Public Discussion, 1927. Are We Machines? Is Life Mechanical or is It "Something Else"? (with Clarence Darrow). Girard, KS: Haldeman-Julius Company, 1928. The Works of Schopenhauer, edited by Will Durant. New York, NY: Simon and Schuster, 1928. The Mansions of Philosophy: A Survey of Human Life and Destiny. New York, NY: Simon and Schuster, 1929. Adventures in Genius. New York, NY: Simon and Schuster, 1931. A Program for America. New York, NY: Simon and Schuster, 1931. The Case for India. New York, NY: Simon and Schuster, 1930. On the Meaning of Life. New York, NY: Ray Long and Richard R. Smith, 1932. The Lesson of Russia: Impressions. New York, NY: G.P. Putnam's Sons, 1933. Same as The Tragedy of Russia. 100 Best Books for an Education. New York, NY: Simon and Schuster, 1933. Reprinted from Adventures in Genius. The Tragedy of Russia: Impressions from a Brief Visit. New York, NY: Simon and Schuster, 1933. The Story of Civilization. Vol. 1: Our Oriental Heritage. New York, NY: Simon and Schuster, 1935. The Story of Philosophy (2nd ed.). New York, NY: Garden City Publishing Co., Inc., 1933. Great Men of Literature. New York, NY: Garden City Publishing Co. Inc., 1936. Taken from Adventures in Genius. The Story of Civilization. Vol. II: The Life of Greece. New York, NY: Simon and Schuster, 1939. The Story of Civilization. Vol. III: Caesar and Christ. New York, NY: Simon and Schuster, 1944. The Story of Civilization. Vol. IV: The Age of Faith. New York, NY: Simon and Schuster, 1950. The Pleasures of Philosophy. New York, NY: Simon and Schuster, 1953. New and revised edition of The Mansions of Philosophy. The Story of Civilization. Vol. V: The Renaissance. New York, NY: Simon and Schuster, 1953. Reissue of The Story of Philosophy. New York, NY: The Pocket Library, 1954. The Story of Civilization. Vol. VI: The Reformation. New York, NY: Simon and Schuster, 1957. The Story of Civilization. Vol. VII: The Age of Reason Begins. New York, NY: Simon and Schuster, 1961. Outlines of Philosophy: Plato to Russell. London: Ernest Benn, 1962. 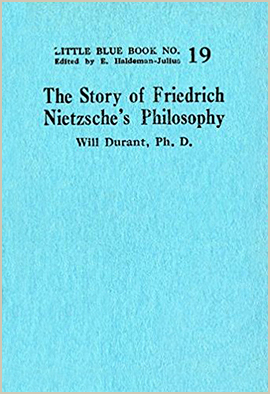 British edition of The Story of Philosophy. The Story of Civilization. Vol. VIII: The Age of Louis XIV. New York, NY: Simon and Schuster, 1963. The Story of Civilization. Vol. IX: The Age of Voltaire. New York, NY: Simon and Schuster, 1965. The Story of Civilization. Vol. X: Rousseau and Revolution. New York, NY: Simon and Schuster, 1967. The Lessons of History. New York, NY: Simon and Schuster ,1968. Interpretations of Life: A Survey of Contemporary Literature. New York, NY: Simon and Schuster, 1970. The Story of Civilization. Vol. XI: The Age of Napoleon. New York, NY: Simon and Schuster 1975. Will and Ariel Durant: A Dual Autobiography. New York, NY: Simon and Schuster 1977. Heroes of History. New York, NY: Simon and Schuster, 2001. The Greatest Minds and Ideas of All Time. New York, NY: Simon and Schuster, 2002. An Invitation to Philosophy. Dallas, TX: Promethean Press, 2003. The Power of History. Dallas, TX: Promethean Press, 2004. On the Meaning of Life (2nd ed.). Dallas, TX: Promethean Press, 2005. Adventures in Philosophy. Dallas, TX: Promethean Press, 2008. Philosophy and the Social Problem: The Annotated Edition. Dallas, TX: Promethean Press, 2008. Fallen Leaves: Last Words on Life, Love, War, and God. New York, NY: Simon and Schuster, 2015. "The Future of American Socialism." In Current Social and Industrial Forces, edited by Lionel D. Edie. New York, NY: Boni and Liveright, 1920. "Is Birth Control Moral?" In Birth Control: What It Is, How It Works, What It Will Do, proceedings of the first American Birth Control Conference. New York, NY: The Birth Control Review, 1921. "Is Philosophy Doomed?" In Proceedings of the Sixth International Congress of Philosophy, edited by E. S. Brightman. New York, NY: Longmans, Green and Co., 1927. "Is Progress a Delusion?" In Essays of the Past and Present, edited by Warner Taylor. New York, NY: Harper & Brothers, 1927. "What is Love?" In Literary Treasures of 1927, edited by Ray Long. 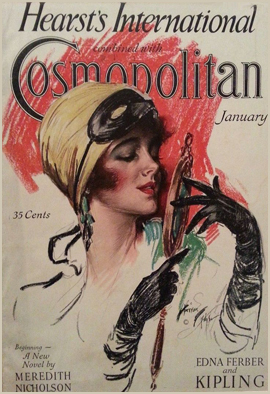 New York, NY: Hearst's International-Cosmopolitan Magazine, 1927. "Is Man a Machine?" In Essays of Today (1926-1927), edited by Odell Shepard and Robert Hillver. New York, NY: The Century Company, 1928. "The Modern Woman." In Modern Life and Thought, edited by Frederich H. Law. New York, NY: The Century Company, 1928. "The Ten Greatest Thinkers." In Essays in Liberal Thought, edited by W. H. Thomas and Stewart S. Morgan. New York, NY: Harcourt, Brace, 1928. "Is Philosophy Doomed?" In An Anthology of Recent Philosophy, compiled by Daniel S. Robinson. New York, NY: Thomas Y. Crowell Co., 1929. "Is Progress a Delusion?" In Facts and Ideas for Students of English Composition, edited by John O. Beaty. New York, NY: F.S. Crofts & Co., 1930. 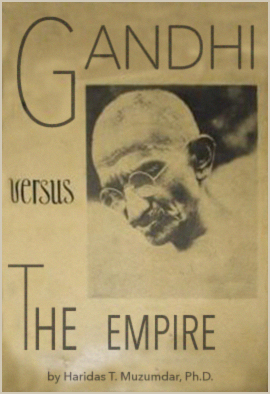 Muzumdar, Haridas T. Foreword to Ghandi Versus the Empire. New York, NY: Universal Publishing Company, 1932. "Is Progress a Delusion?" In Readings in the Modern Essay, edited by Edward S. Noyes. Boston, MA: Houghton Mifflin, 1933. "Is Progress a Delusion?" In Essays and Addresses Toward a Liberal Education, edited by A. Craig Baird. New York, NY: Ginn and Company, 1934. "New Foreword." The Story of Philosophy, 2nd Edition. New York, NY: Simon and Schuster, 1933. "An Amateur's Philosophy." In American Philosophy Today and Tomorrow, edited by Horace M. Kallen and Sidney Hook. New York, NY: Lee Furman, Inc., 1935. "In Defense of Outlines: Apologia Pro Libro Suo." In A Pageant of Prose, edited by Frank H. McCloskey and Robert B. Dow. New York, NY: Harper & Brothers, 1935. "Seen in India." In Essays in Modern Thought, edited by Thomas R. Cook. New York, NY: D.C. Health & Co., 1935. "The Crisis in American Civilization." In Official Report of the American Association of School Administrators, 1936. Washington, DC: American Association of School Administrators, 1936. "Why Men Fight." In Essays of Three Decades, edited by Arno L. Bader and Carleton F. Wells. New York, NY: Harper & Brothers, 1939. "The Crisis in American Civilization." In Representative American Speeches: 1939-1940, edited by A. Craig Baird. New York, NY: H. W. Wilson Co., 1940. "On the Uses of Philosophy." In What College Offers: Essays on the Subjects and Purposes of College Training, edited by Frank H. McCloskey, John S. Terry, and Jonathan F. Scott. New York, NY: F.S. Crofts & Co., 1941. "Why Men Fight." In A College Book of Prose, edited by Selma W. Schneider and John Albert Sanford. Boston, MA: Ginn and Company, 1941. Cairns, Alexander. Foreword to Selections from the Greatest Sermons Ever Preached. New York, NY: M. Gore Co., 1942. "The World Conflict." In Barrington Town-Warming, Vol. III, edited by C. N. Watkins, 221-252. Binghamton, NY: Vail-Ballou Press, 1941. "A Philosophy of Life for Our Times." In Moral and Spiritual Foundations for the World of Tomorrow, edited by Samuel H. Goldenson. New York, NY: Congregation Emanu-El, 1945. "Is Progress a Delusion?" In Of Time and Truth: Ideas and Values for College Students, edited by Fred W. Lorch, W. Paul Jones, and Keith Huntress, eds. New York, NY: The Dryden Press, 1946. "Why Men Fight." In Essays for our Time, edited by Arno L. Bader and Carleton F. Wells. New York, NY: Harper & Brothers, 1947. "John Dewey." In Encyclopaedia Britannica, 14th ed., s.v., edited by Walter Yust. Chicago, IL: Encyclopaedia Britannica, 1948. "Gladly, I Surrender Myself to Love and Parentage." 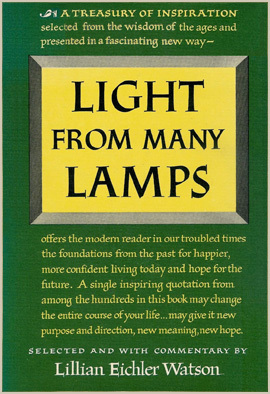 In Light from Many Lamps, edited by Lillian Eichler Watson. New York, NY: Simon and Schuster, 1951. "My Country." In The American Legion Reader, edited by Victor Lasky. New York, NY: Hawthorn Books, 1953. "Liberty is Over." In This I Believe: Vol. II, edited by Edward R. Murrow. New York, NY: Simon and Schuster, 1954. "Julius Caesar." In High Moment, edited by Wallace Brockway. New York, NY: Simon and Schuster, 1955. "Julius Caesar." In Moment of Destiny, edited by Wallace Brockway. New York, NY: Simon and Schuster, 1957. Retitled re-release of High Moment. "Kant and the Mind as Shaping Agent." In Ideas in Content, edited by Joseph H. Satin. Boston, MA: Houghton, Mifflin, 1958. "Is Progress a Delusion?" In Social Change, edited by John Eric Nordskog. New York, NY: McGraw-Hill, 1960. "Our Changing Morals." In Language, Form, and Ideas, edited by T. Benson Strandness, Herbert Hackett, and Harry H. Crosby. New York, NY: McGraw-Hill, 1964. "How We Made Utopia." In Language, Form, and Ideas, edited by T. Benson Strandness, Herbert Hackett, and Harry H. Crosby. New York, NY: McGraw-Hill, 1964. "The Lessons of History." In America's 85 Greatest Living Authors Present: This is My Best in the Third Quarter of the Century, edited by Whit Burnett. Garden City, NY: Doubleday & Company, Inc., 1970. "A Quiet Lane of Happiness." In Dear Father: Warm and Witty Writings About Fathers, edited by Dean Walley. Kansas City, MO: Hallmark Editions, 1970. "Humanism in Historical Perspective." In Humanistic Ethics: Dialogue On Basics, edited by Morris B. Storer. New York, NY: Prometheus Books, 1980. Seidenbaum, Art & Malmin, John. Foreword to Los Angeles 200: A Bicentennial Celebration. New York, NY: Harry N. Abrams, Inc., 1980. "The Political Causes of the Decay of Rome." In Readings for Writers, edited by Jo Ray McCuen. New York, NY: Harcourt Brace Jovanovich Publishers, 1986. Russell, Bertrand. 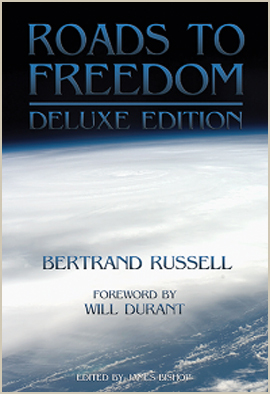 Foreword to Roads to Freedom: The Deluxe Edition. Dallas, TX: Promethean Press, 2008. "What is Civilization?" In Civilzation Volume One: The Origins and Meaning of Civilization, edited by Brett Bowden. Abingdon, Oxon: Routledge, 2009. "Problems En Route." The Modern School: A Monthly Magazine Devoted to Libertarian Ideas in Education 1, no. 4 (Spring, 1913). "The Political and Philosophical Bases of Educational Theory." The Modern School: A Monthly Magazine Devoted to Libertarian Ideas in Education 3, no. 5 (October, 1916). "A Song to My Comrade (Poem)." The Modern School: A Monthly Magazine Devoted to Libertarian Ideas in Education 3, no. 12 (May, 1917). "Overtones." The Modern School: A Monthly Magazine Devoted to Libertarian Ideas in Education 4, no. 3 (September, 1917). "Nietzsche the Thinker: a Study." Political Science Quarterly 33, no. 2 (June, 1918), 266-268. "The War Within the War." The Dial 65, no. 769 (June 20, 1918), 5-7. "The Psychology of Behavior." The Journal of Philosophy, Psychology, and Scientific Methods 5, no. 14 (July 4, 1918), 390-391. "Stimulating Because Untrue." The Dial 65, no. 771 (August 15, 1918), 115-117. "Colonel House." The Dial 65, no. 772 (September 5, 1918), 156-157. "The Biology of War." The Dial 66, no. 782 (January 25, 1919), 84-85. "Roads to Freedom." The Dial 66, no. 787 (April 5, 1919), 354-356. "The Future of American Socialism." The Dial 66, no. 790 (May 17,1919), 494-496. "Why Freedom Disappears." The Nation 110, no. 2861 (May 1, 1920), 587-589. "Is America's Age of Art Dawning?" 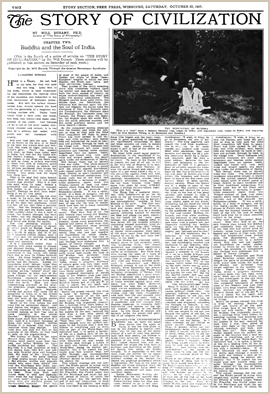 The New York Times Magazine, (August 29, 1926), 1, 20. "Is America to Have a Golden Age?" World Review, 3 (October 4, 1926), 33. "Is Democracy a Failure?" Harper's Magazine 153, no. 918 (October, 1926), 555-565. "Is Progress a Delusion?" Harper's Magazine 153, no. 919 (November, 1926), 742-751. "Is Philosophy Doomed?" The Bookman 64, no. 4 (December, 1926), 392-396. "The Modern Woman." The Century Magazine 113, no. 4 (February, 1927), 418-429. "The Ten Greatest Thinkers." The American Magazine 103, no. 3 (March, 1927), 7-9, 103-104, 106, 108, 110. "Youthful Suicides." Hearst's International Combined with Cosmopolitan 82, no. 5 (May, 1927), 50-51, 220. "In Praise of Freedom." Harper's Magazine 155, no. 926 (June, 1927), 46-54. "If You Ask Me, No Man is Happy Until He Stops Thinking of Himself." The American Magazine 104, no. 1 (July, 1927), 43. "Men and Women." The American Magazine 104, no. 3 (September, 1927), 13-15, 96, 98, 100. "American Liberalism." Life 90, no. 2341 (September 15, 1927), 35. "Is Man a Machine?" The Century Magazine 114, no. 6 (October, 1927), 659-670. "If I Were Mayor." Plain Talk 1, no. 1 (October, 1927), 51-56. "The Story of Happiness." Redbook 49, no. 6 (October, 1927), 50-53, 168-171. "Men and Women." Reader's Digest 6, no. 66 (October, 1927), 321-324. Excerpts from "Men and Women," The American Magazine 104, no. 3 (September, 1927). "What is Love?" Hearst's International Combined with Cosmopolitan 83, no. 4 (October, 1927), 28, 199-203. "The Breakdown of Marriage." Pictorial Review 29, no. 2 (November, 1927), 4, 94, 97-98,112. "What Really is the Meaning of Life?" Hearst's International Combined with Cosmopolitan 83, no. 5 (November, 1927), 29,191-195. "Our Changing Morals." Hearst's International Combined with Cosmopolitan 84, no. 1 (January, 1928), 92,159-161. "Why Do You Thrill at Beauty?" Hearst's International Combined with Cosmopolitan 84, no. 3 (March, 1928), 44, 144-146. "Will Aristocracy Return?" Plain Talk 2, no. 6 (June, 1928), 641-652. "If You Ask Me, There is a Spark of the Divine in Every Man." The American Magazine 106, no. 1 (July, 1928), 31. "Is Socialism Dead?" The Century Magazine 116, no. 4 (August, 1928), 385-397. "Has Democracy Broken Down?" A Debate." The Forum 81, no. 1 (January, 1929), 34-38. "The Reign of Mediocrity." The Forum, 81, no. 1 (January, 1929), 34. "My Country." The American Legion Monthly, 6 (January, 1929), 16-17, 62-65. "History: A Symposium." Plain Talk 4, no. 3 (March, 1929), 257-268. "How a Great Scholar Brings Up His Child." The American Magazine 107, no. 3 (March, 1929), 72, 74, 76, 78, 80, 82, 84. "History: A Symposium, Part II." Plain Talk 4, no. 4 (April, 1929), 483-493. "Our Changing Morals." The Forum 81, no. 4 (April, 1929), 226-231. "The New Morality." The Forum 81, no. 5 (May, 1929), 309-312. "I Want to be Happy." Hearst's International Combined with Cosmopolitan 87, no. 1 (July, 1929), 80, 214-216. "Courageous and Creative." The Town Crier: A Publication of the Town Hall Club of New York (July, 1929). "In Praise of Flaubert." Plain Talk 5, no. 2 (August, 1929), 191-202. "Genius in Miniature: Socrates -- The First Martyr of Philosophy." The American Magazine 108, no. 4 (October, 1929), 94, 96, 98, 100, 102, 104, 106, 108. "The Lust for Learning." 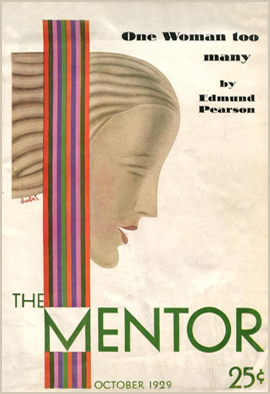 The Mentor and World Traveler, 17 (October, 1929), 7. "Genius in Miniature: Confucius-The Secret of China." The American Magazine 108, no. 5 (November, 1929), 73-74, 76. "Is Man a Machine? A Socratic Dialogue." The Forum 82, no. 5 (November, 1929), 264-270. "Trends in Modern Thought: A Survey of Contemporary Philosophy." The Thinker 1, no. 1 (November, 1929), 17-21. "Woman Tomorrow." The Mentor and World Traveler 17, no. 10 (November, 1929), 7. "Can We Make Our Children Behave? A Socratic Dialogue." The Forum 82, no. 6 (December, 1929), 346-360. "One Hundred Best Books." The American Magazine 108, no. 6 (December, 1929), 26-28, 109, 112, 115-116,118. "Spengler's Interpretation of History." The Thinker 1, no. 2 (December, 1929) 15-23. "Te Deum." The Mentor and World Traveler, no. 17 (December, 1929) 7. "East is West." The Mentor and World Traveler 17, no. 12 (January, 1930), 7. "The Growth and Decay of Culture." The Thinker 1, no. 3 (January, 1930), 21-30. "In Defense of Outlines: Apologia Pro Libro Suo." The Forum, 83 (January, 1930), 8-14. "Modern Marriage." The Mentor and World Traveler 18, no. 1 (February, 1930), 7. "Spengler, on Degeneration." The Thinker 1 no. 4 (February, 1930), 24-34. "You Got What You Asked For." Redbook 54, no. 4 (February, 1930), 54-55 129-130. "Is Progress a Delusion?" Golden Book Magazine 11, no. 63 (March, 1930), 59-63. "The Twilight of Civilization." The Thinker 1, no. 5 (March, 1930), 17-25. "Whiskey, Wine and Beer." The Mentor and World Traveler 18, no. 2 (March, 1930), 7. "A Critique of Spengler." The Thinker 1 no. 6 (April, 1930), 26-36. "Progress." The Mentor and World Traveler 18, no. 3 (April 1930), 7. "Are We Immoral?" The Mentor and World Traveler 18, no. 4 (May, 1930), 7. "Love, Marriage and Morals." The Thinker 2, no. 1 (May,1930), 17-29. "Is Democracy Dying?" The Mentor and World Traveler 18, no. 5 (June, 1930), 74. "The Meaning of Culture." The Thinker 2, no. 2 (June, 1930), 17-30. "In Praise of Ourselves." The Mentor and World Traveler, no. 18 (July, 1930), 11. "Portrait of an Egoist." The Thinker 2, no. 3 (July, 1930), 16-28. "The Crux of Civilization." The Mentor and World Traveler 18, no. 7 (August, 1930), 9. "Philosophic Pilgrimage." The Thinker 2, no. 4 (September, 1930), 23-36. "Six Worst Sellers." The Mentor and World Traveler 18, no. 8 (September, 1930), 9. "The 12 Greatest Dates." 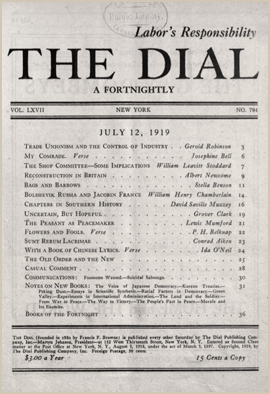 The Forum and Century Magazine, 84, no. 4 (October, 1930), 226-232. "Keyserling Explores America." The Thinker 3, no. 1 (January, 1931), 16-29. "An American Visits Palestine." Redbook 56, no. 4 (February, 1931), 84, 88, 90, 109-110. "Europe On Parade." The Thinker, no. 3 (February, 1931), 66-80. "How to Widen Your World." The American Magazine, no. 111 (March, 1931), 42-43, 160-163. "Keyserling on Life and Death." The Thinker 3 no. 3 (March, 1931), 55-70. "Mother of Mysteries." Redbook 56, no. 6 (April, 1931), 92, 94, 98-102. "A Visit to China." Redbook 56, no. 6 (April, 1931), 66-69, 140-143. "How We Made Utopia." The Thinker 4, no. 6 (September, 1931), 18-28. "America on Trial." Redbook 57, no. 6 (October, 1931), 20-21, 112-114. "The Seven Cardinal Virtues and the Seven Deadly Sins." Physical Culture 66, no. 4 (October, 1931). "Ourselves – As We Are." Redbook 58, no. 1 (November, 1931), 72-73, 82, 84, 86. "Some Criticisms of Our Schools." The American Teacher, 56 (April, 1932), 4. Excerpt from Adventures in Genius. "What is the Meaning of Life?" 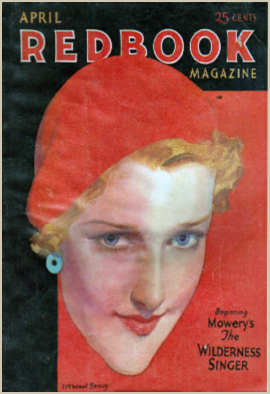 Literary Digest, 114 (November 5, 1932), 20, 22. 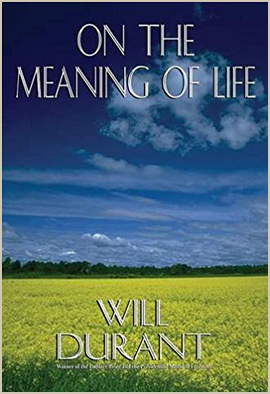 Summary, with excerpts, of On the Meaning of Life. "The Tragedy of Russia: The Road to Moscow." The Saturday Evening Post 205, no. 24 (December 10, 1932), 3-5, 28, 30. "The Crisis in Communism." The Saturday Evening Post 205, no. 26 (December 24,1932), 21, 29, 32-34. "The Soul of Russia Under Socialism." The Saturday Evening Post 205, no. 30 (January 21, 1933), 16-17, 45-48. "The Dictatorship Over the Proletariat." The Saturday Evening Post 205, no. 34 (February 18, 1933), 27-28, 54, 56-58. "The American Crisis." The Alumnae News: The Woman's College of the University of North Carolina 21, no. 3 (February, 1933), 5-7. "Russia's Hopes and Fears." World Affairs Interpreter, 4, no. 3 (Fall, 1933), 201. "Shall We Train Our Sons for Public Office?" 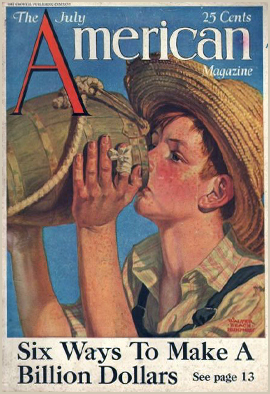 The American Magazine, 116 (September, 1933), 42-44, 138-139. "Education a Disqualification for Public Office." Public Management, 15, No. 10 (October 1, 1933), 312. "Is Our Civilization Dying?" 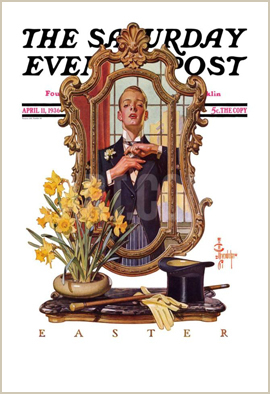 The Saturday Evening Post 206, no. 45 (May 5, 1934), 8-9, 77-78, 81-82. "The American Choice." The Saturday Evening Post 206, no. 50 (June 9,1934), 27,108-110,112. "The Hour of Decision." The Saturday Evening Post 206, no. 50 (June 9,1934), 27,108-110,112. "Is Democracy Doomed?" The Saturday Evening Post 207, no. 11 (September 15, 1934), 23, 78, 80-82, 84. "Our Morals." The Saturday Evening Post 207, no. 30 (January 26,1935), 27, 61-62, 64, 66. "New Dreams for Old." The Saturday Review 12, no. 2 (May 11,1935), 8. "The Threat to Civilization." The Saturday Evening Post 207, no. 25 (December 21 1935), 23, 29, 32. "What Education is Of Most Worth?" The Saturday Evening Post 208, no. 41 (April 11, 1936), 14-15, 44, 46-47. "What Education is of Most Worth?" The Reader’s Digest 29, no. 172 (August, 1936), 105-108. "The Crisis in American Civilization." The Southern Workman, 65 (December, 1936), 380-383. "Why Men Fight." The Saturday Evening Post 210, no. 2 (July 10, 1937), 23, 58, 60-61. "A Piece of Old China." The Rotarian 52, no. 3 (March, 1938),13-15. "No Hymns of Hatred." The Saturday Evening Post 210, no. 49 (June 4, 1938), 23, 48-49, 51-52. "Meditation on Marriage." The Saturday Evening Post 211, no. 46 (May 13, 1939), 5-6, 72, 74, 76. "The Crisis in Christianity." The Saturday Evening Post 212, no. 6 (August 5, 1939), 5-6, 35-36. "The Crisis in American Civilization." Vital Speeches of the Day 6, no. 5 (December 15, 1939), 138-144. "The Crisis in American Civilization." The Reference Shelf 14, no. 1, (1940), 208-229. "Ten Steps Up from The Jungle." The Rotarian 58, no. 1 (January, 1941), 10-13, 56. "Self-Discipline or Slavery." The Saturday Evening Post 213, no. 29 (January 18, 1941), 27, 46, 48-49. "A Stoic America." Vital Speeches of the Day 7, no. 8 (February 1, 1941), 238-240. "To Be an American Means to Tolerate All Religions." The Herald Statesman (Yonkers, NY), August 19, 1941. "Freedom of Worship," The Saturday Evening Post 215, no. 35 (February 27,1943), 12-13. "Is World Security Possible?" Argosy 318, no. 3 (June, 1944). It appears to be a collaborative article with the following people: Joseph E. Davies, Ely Culbertson, Will Durant, Thomas Mann & Sir Norman Angell. "What is Civilization?" 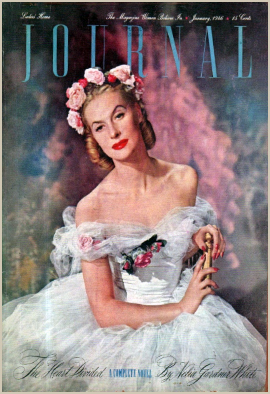 Ladies’ Home Journal 63, no. 1 (January, 1946), 22-23,103-104,107. "History in a Capsule." The Rotarian 74, no. 1 (January, 1949),10. "What Makes Men Happy?" The Rotarian 77, no. 5 (November, 1950), 8-11. "Worried About the Young People?" The Rotarian 80, no. 5 (May, 1952), 8-10, 47A8. "Worried About the Young People?" Bulletin of the National Association of Secondary School Principals, 36 (October, 1952), 134-138. "The Ten Greatest Thinkers." The Rotarian 86, no. 2 (February, 1955), 38-39, 90-93. "What is Wisdom?" Wisdom, no. 20 (1957), 25-26. "Why are Happy People Happy?" Together: The Midmonth Magazine for Methodist Families 1, no. 5 (February 15, 1957), 10-13. "The Ideal History: What It Entails." The Los Angeles Times (Los Angeles, CA), November 17, 1957. "For Very Young Philosophers Only." This Week (New York, NY), January 12, 1958, 2. "Young Man -- Your World." The Reader’s Digest 74, no. 6 (June, 1959), 94-96. Excerpts from commencement address at the Webb School of California. "An Optimist's Future." The Los Angeles Times (Los Angeles, CA), July 7, 1967, A31. "Man is Wiser Than Any Man." Pace, no. 4 (July, 1968), 4. "Man is Wiser Than Any Man." 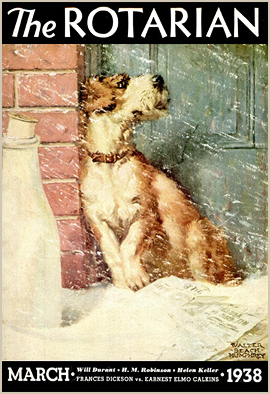 The Reader’s Digest 83, no. 11 (November, 1968), 85-87. Excerpts from "Man is Wiser Than Any Man," Pace, no. 4 (July, 1968), 4. "The Lessons of History." 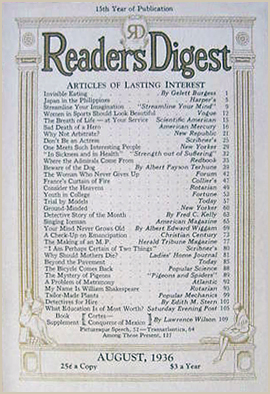 The Reader’s Digest 83, no. 12 (December, 1968), 257-263. Excerpts from The Lessons of History. "History and War." Theory into Practice 8, no. 2 (April, 1969), 56-57. "Humanism in Historical Perspective." Humanist 37, no. 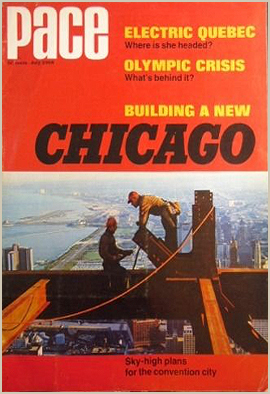 1 (January 1, 1977), 24. "Time to Come to the Aid of...Civilization." The Los Angeles Times (Los Angeles, CA), November 13, 1977, 15. "Renewing Our Race." The Chesterton Review 44, no. 3/4 (Fall/Winter, 2018): 630-631. The following articles were syndicated in a variety of newspapers and periodicals. "The Story of Civilization." Cosmos Syndicate, 1927-1928. (Note: This is a biographical story of civilization written in serial form for the Cosmos Syndicate and published in the Scripps-Howard and other newspapers in 1927-1928; the articles were intended for popular consumption and were not used in the book series collectively referred to as The Story of Civilization, published by Simon and Schuster, 1935-1967.) A total of 50 articles. "Your Character – Can It Be Changed?" Metropolitan Newspaper Service, January, 1928. "Negative and Positive Personalities." Metropolitan Newspaper Service, February, 1928. "Are Our Elders Responsible for ‘Immoral’ Youth?" Metropolitan Newspaper Service, December, 1928. "Dr. Will Durant, Noted Philosopher, Discusses the Jewish Problem." Seven Arts Feature Syndicate, September, 1936. "We Have a Right to Be Happy Today." United Press International, June, 1958. 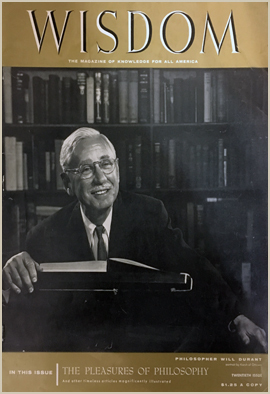 Commencement address at the thirty-sixth commencement exercises of the Webb School of Claremont, California, June 7, 1958, on the occasion of the graduation of Dr. Durant's grandson, James Easton. "Platform for Both Parties." United Press International, March, 1960. "Compromise Solution to End War Threat." United Press International, September, 1961. "Noted Philosopher-Historian Offers His Analysis of Berlin Situation." United Press International, November, 1961. "Philosopher Urges Restraint." United Press International, June, 1969. Excerpt from commencement address of the Buckley School for Girls. "Philosopher Will Durant Views Today’s Morals." Associated Press, December, 1963. Letter in praise of Haldeman-Julius. Life and Letters (January, 1914), 3. "The Labor Temple School." The New Republic (October 12, 1921), 192. "Durant's Address." The New York Times (January 5, 1933). "A Correction." The Los Angeles Times (Los Angeles, CA), February 20, 1933, A4. "Valuable Support." The Los Angeles Times (Los Angeles, CA), March 1, 1941, A4. "Sunshine Saver Durant." The Los Angeles Times (Los Angeles, CA), December 2, 1946, D6. "A Favorite Opera." The Los Angeles Times (Los Angeles, CA), June 18, 1949, A4. "Tracing U.N. Activity in Korea." The Los Angeles Times (Los Angeles, CA), July 13, 1950, A4. "Loans for Fighting Smog." The Los Angeles Times (Los Angeles, CA), September 5, 1955, A4. "Race for Mayor." The Los Angeles Times (Los Angeles, CA), April 4, 1953, A4. "To Meet Communist Threat." The New York Times (May 7, 1961). 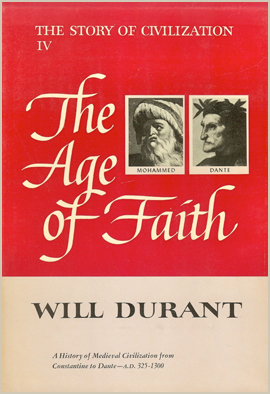 "Holy Alliance' Lesson Seen by Will Durant." The Los Angeles Times (Los Angeles, CA), May 6, 1961, 31. "The Durant History: Letters." The New York Times (October 6, 1963). "More Stately Mansions." The Los Angeles Times (Los Angeles, CA), October 1, 1967, D6. "Kudos to Critics." The Los Angeles Times (Los Angeles, CA), October 22, 1967, S8. "References to His Birth Control Views Erred, Durant Notes." The Los Angeles Times (Los Angeles, CA), October 8, 1969, 47. "Durant Pinpoints View." The Los Angeles Times (Los Angeles, CA), October 23, 1969, 54. "Words of Praise." The Los Angeles Times (Los Angeles, CA), January 8, 1973, 40. "Overwhelmed." The Los Angeles Times (Los Angeles, CA), December 31, 1974, B2. "Nathan's Poem." The Los Angeles Times (Los Angeles, CA), November 30, 1977, E6. "Interview with Will Durant." Pathé Sound News. Pathé Pictures, 1929. Newsreel. "Durant on Hindu Crisis." Fox Movietone News. Fox Films, 1930. Newsreel. "Will Durant." This I Believe. Commentary by Edward R. Murrow. New York, NY: Columbia Masterworks, 1953. Long-playing record. Vincent, John. Sleeve notes for Symphonic Poem After Descartes/Symphony in D. New York, NY: Columbia Masterworks, 1959. Long-playing record. "Confucius." This I Believe. 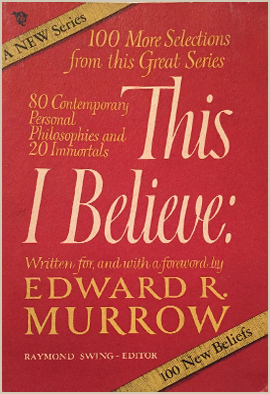 Read by Hu Shih; commentary by Edward R. Murrow. New York, NY: Columbia Masterworks, 1953. Long-playing record. Will and Ariel Durant: Journey. Robert Cohn Productions, 1973. "The Lessons of History." NBC Knowledge Series. Produced and hosted by Keith Berwick. NBC Television, 1977. Television Series. 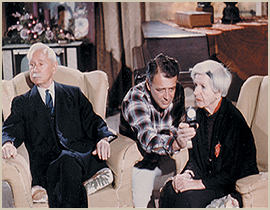 A block of twenty half-hour episodes of the ongoing series. 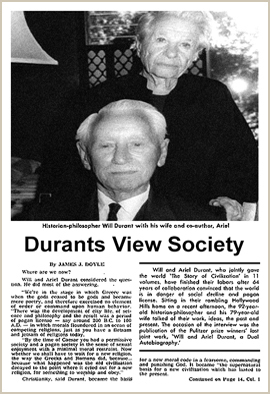 A Visit with Will and Ariel Durant. Northern River Productions, 2003. Documentary film. Heroes of Civilization. Northern River Productions, 2003. Series of audio CDs featuring Will and Ariel Durant reading the content of the book Heroes of History. 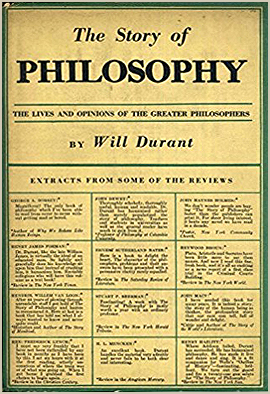 Perspectivism: The Philosophy of Will Durant. Northern River Productions, 2003. Documentary film. 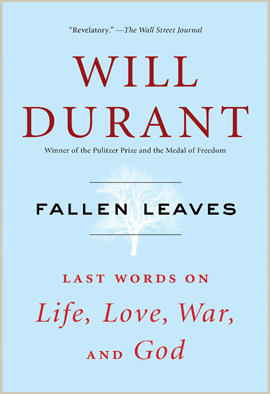 Fallen Leaves: Will and Ariel Durant in Their Own Words. Northern River Productions, 2015. Documentary film. Will Durant on Equality. The Passionate Mind Institute, 2016. Short film. Genn, Lillian G. "We Must Produce Better Leaders." Ledger Syndicate, December, 1935. Syndicated. Callan, Mary Ann. "Will Durant Dreams, But Practically." Los Angeles Times (Los Angeles, CA), December 29, 1957. Hicks, Cordell. 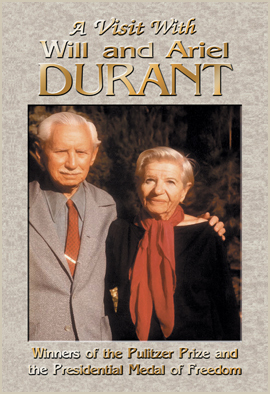 "Will Durant, 73 Today, Returns Home From Treatment in Hospital." Los Angeles Times (Los Angeles, CA), November 5, 1958. "Mrs. Durant Aids Husband in Writing Chores." United Press International, October, 1961. Syndicated. Robb, Inez. "Durant Writes Prologue for Movies' Fall of Rome." United Features Syndicate, June, 1963. "Spry Old Team Does It Again." Life Magazine, October 18, 1963. Newquist, Roy. "Will and Ariel Durant." Conversations. Chicago, IL: Rand McNally & Company, 1967. "Some ‘Vacation’ for the Durants!" Associated Press, February, 1968. Syndicated. Payton, Robert L. "Will and Ariel Durant: Philosophy’s Extraordinary Couple Complete New Book in Their 47-Year Study of Western World." Newsday Syndicate. August 17, 1975. Syndicated. Nordheimer, Jon. "For Durant, 90, History Is in the Past; An Uninterrupted Flow Attracted by High Spirit Traveling as Tourists Sided With the People." The New York Times (New York, NY), November 6, 1975. Thomas, Bob. "Nearly 90, Will Durant Has No Fear of Death." Associated Press, November, 1975. Syndicated. Doyle, James J. "Durants View Society." United Press International, December, 1977. Syndicated. "Will and Ariel Durant on the Past, Present." United Press International, December, 1977. Syndicated. The Girls' Service League of America 20th Anniversary Dinner. New York, NY: WRNY-AM. April 17, 1928. The Contribution of Radio to History. New York, NY: WOR-AM. June 5, 1931. The Pessimisms of Our Time. Cincinnati, OH: WLW-AM. January 24, 1932. Will Durant on Marriage. Akron, OH: WTAM-AM. September 30, 1932. Will Durant Discusses Marriage. New York, NY: NBC Radio. October 1, 1932. Will Durant Speaks. New York, NY: WNEW-AM. April 29, 1934. The Story of Civilization - Old and New. National broadcast from Hollywood, CA. Program unknown. July 31, 1935. In the Whirlpool of Reaction. New York, NY: WOR-AM. October 15, 1935. 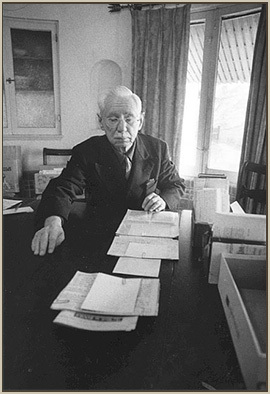 Talk With Will Durant. New York, NY: WJZ-AM. April 3, 1936. The World Conflict. New York, NY: WOR-AM. April 7, 1938. "What is America's Greatest Need Today?" 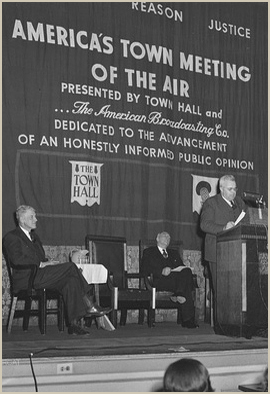 America’s Town Meeting of the Air. New York, NY: Blue Network. December 15, 1938. "What Kind of America Do the Boys Want To Come Home To?" Wake Up America. Moderated by Fred G. Clark. Los Angeles, CA: Blue Network. October 31, 1943. Philosophy and War. Corvallis, OR: KOAC Radio. January 21, 1945. The Causes of War. Chicago, IL: WGN Radio. February 11, 1945. "Is the War Breaking Down Our Moral Standards?" America’s Town Meeting of the Air. New York, NY: Blue Network. May 3, 1945. The Map of Human Character. Chicago, IL: WGN Radio. November, 18, 1945. Information Please. Hosted by Clifton Fadiman. November 6, 1944. New York, NY: NBC Radio. Radio quiz show. Interview with Will Durant. Austin, TX. October, 13, 1948. The radio station is currently undetermined. Interview with Will Durant. Interivew conducted by Anna Roosevelt. St. Louis, MO: KXOK Radio. December, 17, 1948. "Burckhardt: The Civilization of the Renaissance in Italy." Invitation to Learning. Los Angeles, CA: KCBS. October 9, 1953. "Interview with Will Durant." Martha Deane Show. Interview conducted by Martha Deane. New York, NY: WOR-AM. September 20, 1957. "Montaigne's Essays." Invitation to Learning. Los Angeles, CA: KCBS. October 6, 1957. "Today Feature: Authors Will and Ariel Durant on the Story of Civilization." The Today Show. New York, NY: NBC Studios. January 31, 1967. KNXT Reports: The Durants, Will and Ariel. Interview conducted by Georges Fischer. Los Angeles, CA: KNXT. February 20, 1968. "Will and Ariel Durant: Journey." Masters and Masterworks. Directed by Robert Snyder. Los Angeles, CA: Masters and Masterworks Productions, 1969. "Will and Ariel Durant." Day at Night. Interview conducted by James Day. New York, NY: PBS. January 14, 1974. "Will and Ariel Durant." The Tomorrow Show with Tom Snyder. Interview conducted by Tom Snyder. Burbank, CA: NBC. November 25, 1977. "Noted Authors." The Merv Griffin Show. Interview conducted by Merv Griffin. Burbank, CA: Merv Griffin Productions. January 20, 1978. The Lessons of History: Will and Ariel Durant. Interview conducted by Harry Rasky. Toronto, ON: CBC. 1979.